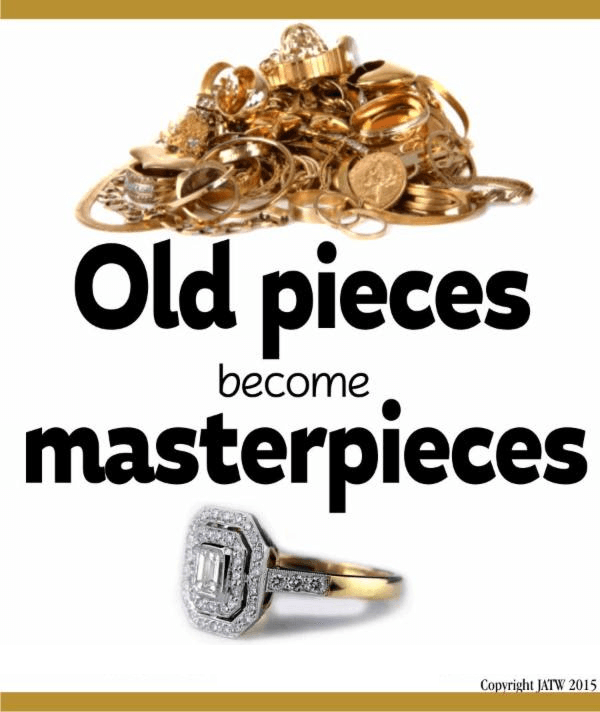 You want to get the most for your old jewelry. We want you to, too! More often than not, you'll get that from us. But don't take our word for it. The last thing either of us wants is for you to feel taken advantage of. Follow our tips, do your homework, and get the best price! Jewelry is a prime target for thieves. But having your jewelry stolen is not just a loss of property. It's a loss of your emotional treasures. We understand you feel violated and we're here to help. Here is what you need to do, what we're doing, and tips to protect yourself in the future. It's always best to shop around and get an idea of what your jewelry is worth, but please make us your last stop. We will offer you a fair, one-time offer. We make fine jewelry and buy gold as a service to our customers. We treat everyone like customers and offer everyone the same rate. We are not a pawn shop. We will not lowball you, so please don't try to haggle with us. 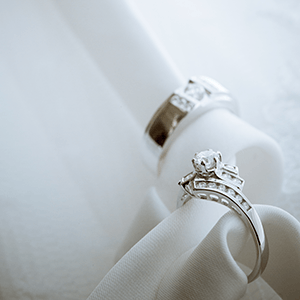 Our commission is based on our labor for assessing your jewelry. If you leave and come back, we will have to assess it again and our second offer will reflect that. Don't sell your scrap a little bit at a time. You'll get a better rate doing it all at once. The refiner's calculator takes the total weight into account. It's all about risk. The more you have, the more likely the average purity will match the karat stamp. This is how you get the most out of your old jewelry. Trade the jewelry you don't wear for something you will, have it turned into something new, or use it to pay for a repair. It doesn't matter which one you pick, we'll cut our commission in half. Trading is by far a better deal for both of us. Sure we make money from buying, but it ties up our cash flow in the process. That is especially true with diamonds. Scrap gold is jewelry destined for the refiner. We work with a respectable refiner that provides a scrap calculator. We separate your pieces by karat, weigh it, and whatever the calculator spits out is what we offer you. Not a penny more, not a penny less. If you followed Tip #2, the refiner will pay you more per gram. If you followed Tip #1 and someone offered you more, take it! We're confident we offered you a better rate, but we also know gold and accurately assessed what you had. If someone offered you more than we did, you're getting a really good deal. If the piece has any major diamonds, please read the next section on diamonds. We no longer buy colored stones or melee diamonds. It's not that they don't have value, it's just that we have too many boxes of them. If you would like them returned, we charge $1 per stone to remove them and will call you after the holding period has passed. First and foremost, if your diamond was purchased by you or someone else with credit, make sure it's paid off. Otherwise, this is theft by conversion and the last thing you want is a creditor pursuing you with felony charges. Here's the thing with diamonds. They're expensive and take a long time to sell. And when we need one, we can have it here tomorrow at wholesale. The best thing you can do is follow Tip #3. 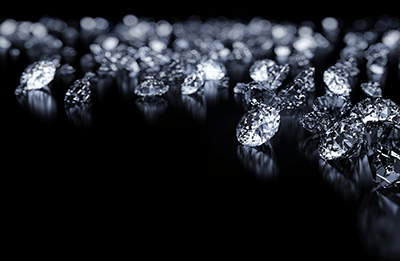 If your diamond is something we stock, we'll credit you our retail price when you trade up. If you need cash, your best bet is to sell it to someone you know. Private sales are good for both parties because they normally split the difference between wholesale and retail. We can help you with a quick-sale appraisal. If neither of those options works for you, then consider this your last resort. Follow Tip #1, then come see us. The price we'll offer you is the price a wholesaler offers us. We won't take a commission, but even then you will not be happy with the price. And that's not how we want to do business. Unfortunately, we have to be able to sell it without losing money or it would put us out of business. We know because it almost did. We had to change our policy in 2008 when the economy crashed. No one bought jewelry, no one had repairs done, and a lot of folks had to sell their jewelry. That killed a lot of independent jewelry stores like us. Jewelry sales haven't recovered and we still have diamonds left over from that event, but they remind us to be thankful. Tip #1 is mandatory when you want to sell finished jewelry. We play a sort of match game. You have to write down a price you're comfortable selling for and we write down an offer. Our offer will not change. If we write down $500 and you wrote $250, it's a match! We pay you $500, 2x what you wanted! On the other hand, if you wrote down $5,000, we throw our offer in the trash and tell you we're not interested. We're not the best option for finished jewelry. Unless it's an exceptional piece, our customers are not interested in second-hand items. We will either scrap it or sell it to a liquidator. This is a situation where a pawn shop may make you a better offer. But given the nature of that business, it's worth running it by us.